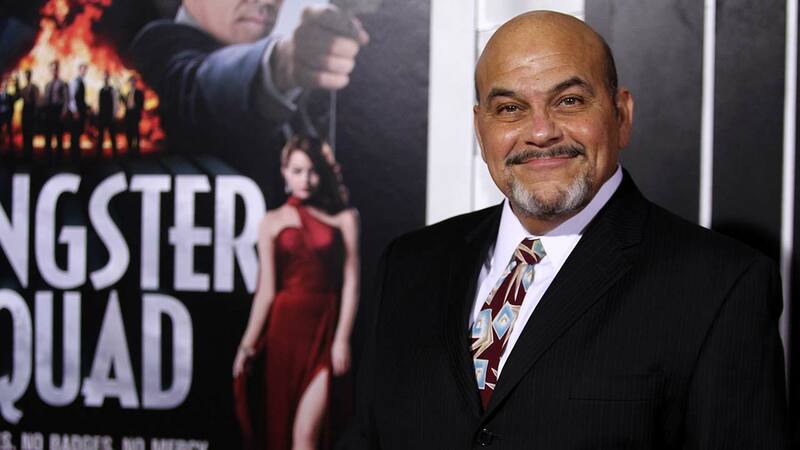 NEW YORK -- Jon Polito, the prolific and raspy-voiced character actor whose more than 200 credits ranged from "Homicide: Life on the Street" and "Modern Family" to the Coen Brother films "Barton Fink" and "The Big Lebowski," has died. Polito died Thursday at City of Hope Hospital in Duarte. California, according to his manager, Maryellen Mulcahy. Polito was 65 and was being treated for multiple myeloma, Mulcahy told The Associated Press on Friday. He is survived by his partner, Darryl Armbruster. A native of Philadelphia and graduate of Villanova University, the short, mustachioed Polito had loved movies and television since childhood and was inspired by the over-the-top acting he first spotted in old horror films and melodramas. With no pretentions to being a leading man, he became one of the busiest TV and movie actors of the past three decades, averaging several projects a year since the mid-1980s. He worked in crime stories ("Homicide: Life on the Street," ''The Gangster Chronicles"), drama ("Flags of Our Fathers"), comedies ("The Freshman," ''Modern Family") and in the Coens' genre-defying projects. He also was a award-winning stage actor, winning an Obie in 1980 for his performances with two different theater companies. Mulcahy said he continued to act right up to the end of his life. Even if you didn't know his name, you probably saw his face, whether as the "private snoop" confronting Jeff Bridges in "The Big Lebowski" or as the agitated landlord with the strands of hair across his forehead in the "Reverse Peephole" episode of "Seinfeld." He was dressed as a woman on "The Chris Isaak Show" and turned up once on "Late Night With David Letterman," posing as CBS promotions man Phil Carmichael and explaining why Letterman's recent heart problems were good for business. "People think you're going to die, Dave: Boom! Double your viewership." On the ground-breaking NBC drama "Homicide: Life on the Street," Polito played fussy, beleaguered Baltimore Police Detective Steve Crosetti. Partnered with Meldrick Lewis (played by Clark Johnson), Crosetti was on the force only for the first two seasons of the series' seven-season run in the 1990s. Creative revamping of the show prompted Crosetti to be written out at the start of season 3 - though only temporarily, the producers vowed - which spurred an angry Polito to complain to the media. For that, he was fired, which led to further outrage by the actor when his character, after several episodes' unexplained absence, was said to have been found: A depressed Crosetti had committed suicide. On several episodes of "Modern Family," Polito played the business archrival of Jay Pritchett (series regular Ed O'Neill).